While many of their UK contemporaries—particularly those rallied behind the banner of the British Invasion in the ‘60s—did all they could do to sound like artists of American blues and early rock ‘n’ roll, the Kinks underscored a disposition that was deliberately English. 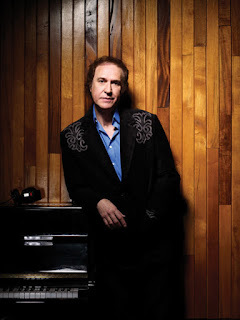 As the band’s lyricist, Ray Davies examined class distinctions and moralities within British society, eliciting tales of the downtrodden as well as those whose lives were far more refined. And so it’s not too much of a stretch to conceive how such themes could have inspired and ultimately manifested in Davies’ latest work, The Kinks Choral Collection, released this week on Decca Records. The album finds Davies collaborating with the Crouch End Festival Chorus—a renowned vocal choir from North London—interpreting a cycle of classic Kinks songs (and one solo cut) with grandeur and grace. While an integral part of the album, the choir isn’t as ostentatious as the title might suggest or even as some listeners might fear. Davies suitably holds the vocal reins here—the choir isn't singing his songs with him relegated to the sideline—while the vocalists complement in harmony around him. Rising like a solemn invocation, "Days" commences the recording with delicate resonance while "See My Friends" finds Davies and the choir engaging in an acapella call and response, effectively turning it into a chant. The sacred nature of these performances only succeeds because the songs evoke it (to various extents) in their original versions. Davies isn't manufacturing the spiritual vibe that's yielded by this kind of interpretation; with the service of the choir, he's drawing it out. The rendition here of "Waterloo Sunset" is perhaps the best instance of that. As for the otherwise edgier tracks—“You Really Got Me” and “All Day and All of the Night,” specifically—Davies prevents them from coming off as parodies because, instead of treating them with the sort of reverence he affords to the more austere moments on the album, he gives in to their exuberance and has a good time. Worth a special mention is a six-song suite culled from the Kinks' masterwork, We Are The Village Green Preservation Society, which is a highlight unto itself, but an ever-playful take on "Picture Book" and the title track stand out in particular. Granted, The Kinks Choral Collection isn’t for everyone—it's likely not even for all professed Kinks fans—but for those who approach this with an open mind, it’s an impressive effort overall.